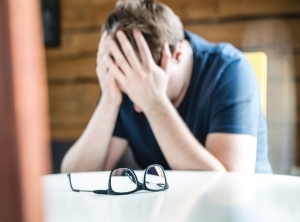 Public mental health nurses need to effectively manage increasingly heavy workloads to avoid burnout, and the subsequent detrimental impact on the clinical mental health service overall. According to ANMF (Vic Branch) Secretary Lisa Fitzpatrick, public mental health nurses report high levels of stress and dissatisfaction directly associated with excessive and unbalanced workloads, including frequent experiences of being unable to complete core functions within work time. “Many would try to manage by working unpaid overtime, missing meal breaks or not attending important professional development opportunities,” says Ms Fitzpatrick. “Some highly experienced employees were leaving the public system. “The chronic nature of this issue was serious, and the ANMF (Vic Branch) considered it an avoidable situation needing urgent attention. Which is why nurses are encouraged to make use the the Community Workload Management System (CWMS), a workplace right for mental health nurse and allied health employees in Victoria’s Public Sector. “CWMS is designed to transparently regulate workloads, ensuring greater recognition of the value for all people in creating fair and reasonable workloads for our very busy mental health nurses employed in the public sector,” says Ms Fitzpatrick. “It’s effectively a simple spreadsheet which assists employees in calculating and tracking their direct clinical commitments or ‘Column A’ tasks, to ensure they make up no more than 60 percent of working hours. “Organisational and practitioner development time or ‘column B’ functions such as handovers and team meetings as well as entitlements like rest breaks and accrued days off should make up no less than 40 percent of time. The purpose of the CWMS is to ensure that mental health nurse workloads within the public sector clinical mental health services better recognize and reflect their additional discipline specific responsibilities that no other employee is able to undertake. Increasing demand on public mental health community services wasn’t translating into enough hours in the day, staff or enough funding to keep up with the work. “This meant unfairly increasing demand on existing staff. So, we needed to introduce workload provisions that would ease the daily pressures and stop the work piling up beyond what was manageable ensuring retention of existing staff and growth of the workforce into the future as demand increases. “It also introduced a transparent and objective mechanism that team leaders and other Nurse Managers (and employees) have access to when discussing allocations of patients/client referrals and ongoing service provision. “Essentially, with a statewide fair system of workload management, all public sector mental health nurse employees will be working as efficiently as possible, therefore, removing historic variables of different systems or approaches amongst different Health Services. Prior to the introduction of the CWMS, Ms Fitzpatrick says there was a sense of disillusionment that regulating workload could ever be achieved and others were clear it was required - so long as it didn’t create more work. “Services and the mental health nurses employed within were experiencing daily pressures to meet increasing demand; which seemed to commonly translate to allocations of excessive work that was not manageable. “Our members remained committed to and passionate about helping people’s mental health recovery journey, however they simply could not be stretched any more. Aside from the doctors who are busy undertaking specialist consultations, Ms Fitzpatrick says no other discipline has the scope for medication and physical healthcare for people accessing the clinical community mental health services. “This additional workload was not being recognised or addressed. “It’s not a matter of nurses saying they don’t want to undertake the provision of nursing care, but asking for recognition of their multidisciplinary role so they have the time to safely provide nursing care to others as well as safely provide care to their allocated clients. Ms Fitzpatrick says it's important that mental health nurses follow the CWMS guidelines to ensure their own mental and physical health remains stable. “It is anticipated that identifiable hazards arising from being overworked will be reduced and positively contribute to the health and well-being of the staff which in turn, will ensure that the community can continue to have access to specialist mental health services.